This is a fairly symmetrical picture. 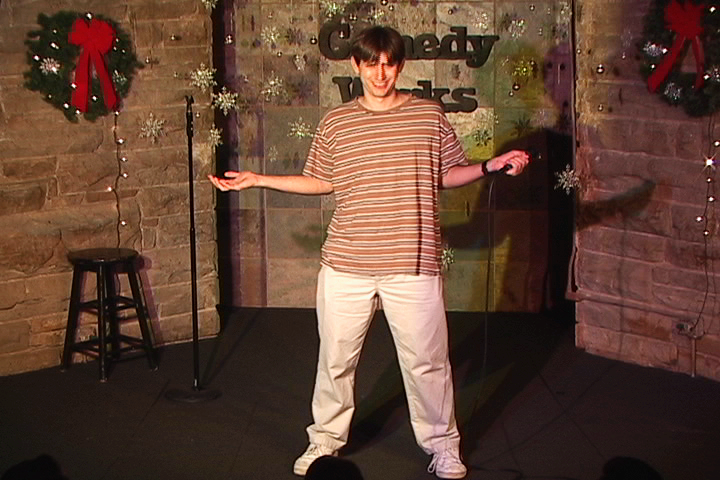 Exactly ten years and ten days ago, on December 7th, 2004, I performed a magical set at Denver's Comedy Works. Also, because I am a comedian, I wore a striped shirt. Because it was the holiday season, I did not joke about anything holiday related. I told stories of ElimiDate, poop, Blockbuster Video, and the United Parcel Service. Here is a video of that magical set, a Christmas gift to you. P.S. If you like this video, check out some of my other "Jake's Archived Video" videos.